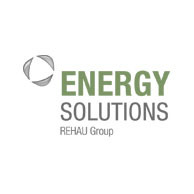 REHAU ENERGY SOLUTIONS benefits from the industrial structures, know-how and decades-long experience of REHAU in managing complex technical projects to implement reliable energy infrastructures for its customers. We have been concentrating on turn-key projects of biogas plants, CHP units and local heating systems basing on renewable energy resources and energy-efficient cogeneration of heat and power. Our focus is on planning and designing of innovative biogas plants aimed at waste digestion.